Amongst our radio treasures we have a working Dansette Capri transistor radio manufactured in the UK in 1963 by a company better known for its record players. Although the popularity of the transistor radio was short lived, the transistor radio remains an important part of radio history. 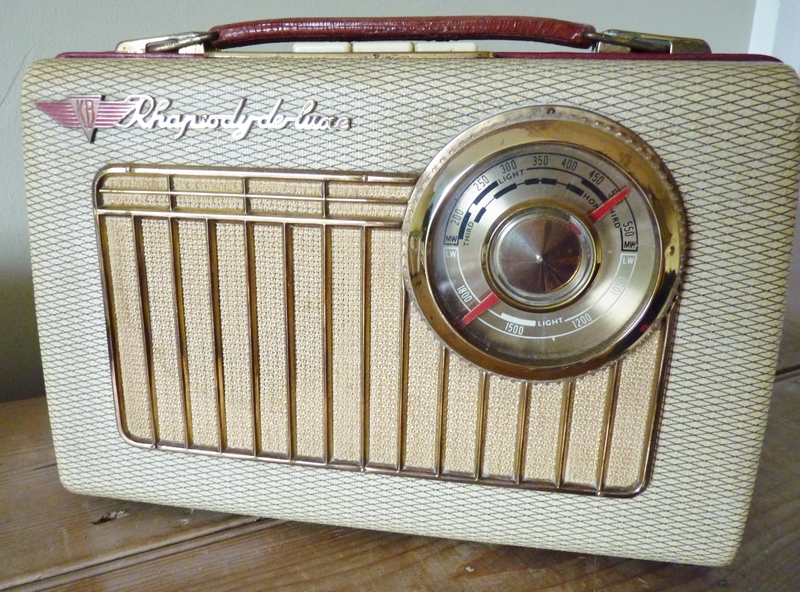 The invention of the transistor enabled radios to be developed which were small, portable and battery powered, in a dramatic contrast to the size and weight of the radio used in the family home. These little radios were manufactured in their billions for a market of post World War II baby-boomers with disposable income, a love of this new fangled rock and roll and a desire for independence from their parents. The heyday of the transistor only really spanned from the late fifties to the seventies but if you owned one then you were hip and happening. It’s very rare to find a radio like this in such good condition. There is no damage to the leather case, the stitching and the strap are completely intact and the radio itself has minimal signs of wear and tear. The clever bit of these iconic designs is the production process which enabled both glazed and matt finishes to be produced on the same pot. Each of these Hornsea Pottery pieces has had the pattern screen printed onto the surface with specially developed ink designed to withstand high temperatures. After the pattern was printed the pots were dipped into tubs of glaze. The ink used to create the patterns contained oils and waxes which the glaze ran off. Simple. This technique combined with the limited palette of contrasting colours, created the Hornsea signature relief pattern and look. 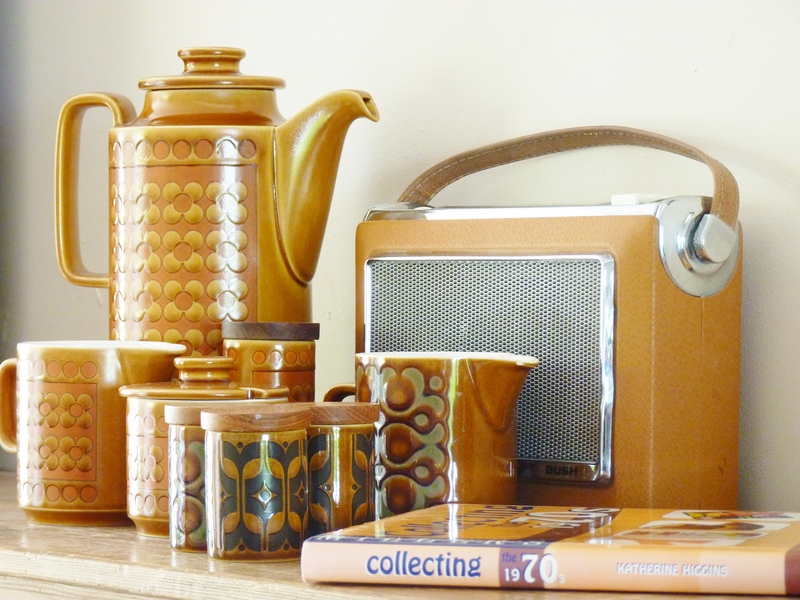 Hornsea pottery is a great thing to collect. It was mass produced, so readily available after being stored in the back of grandma’s cupboard and it’s cheap and hard wearing enough to be used every day. 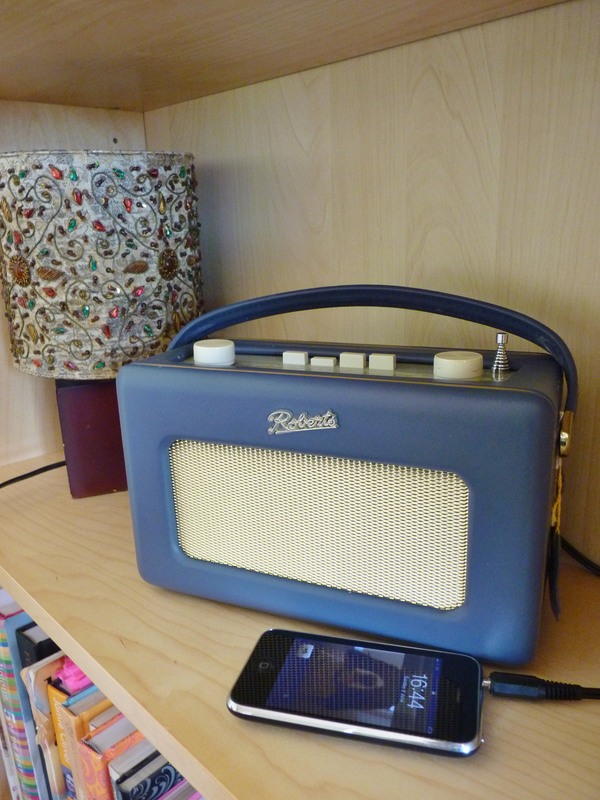 As the classic Bush TR230 was first produced in 1971, it could be the perfect radio to add to your Seventies set. If it’s John Clappison’s pottery that brings a smile to your face, the simple shape and styling of this little transistor would fit in perfectly and, what’s more, set against Saffron or Heirloom pottery, this radio is just the right shade of orange. Are you ready for the Seventies revival? 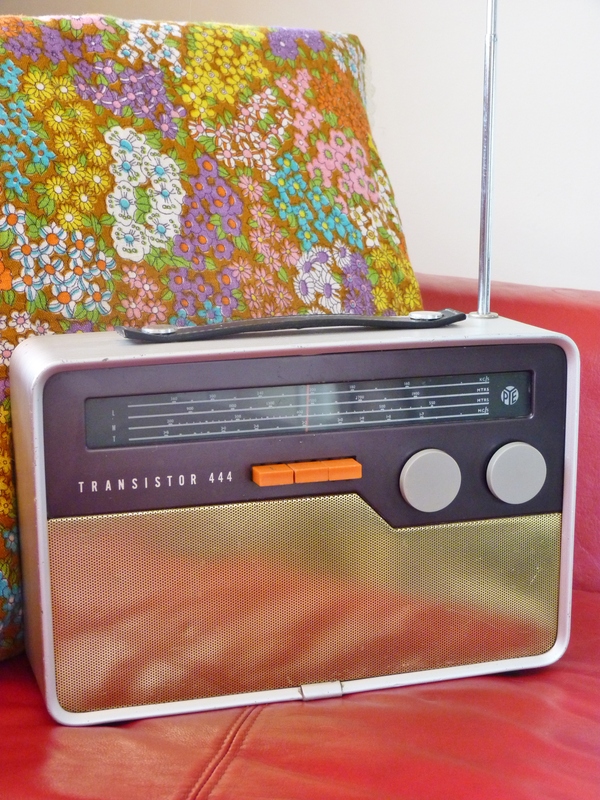 I wonder where the inspiration for this 1964 vintage transistor radio came from? Do you think it might have been anything to do with this? This lovely looking transistor radio was made by the British Company ALBA. ALBA was the trademark of A.J. Balcombe Ltd used from 1960, derived from the name of Alfred Balcombe who started the business back in 1918. In 1964 the Rolling Stones were singing Its All Over Now and were number 14 in the Top 100 for the year. 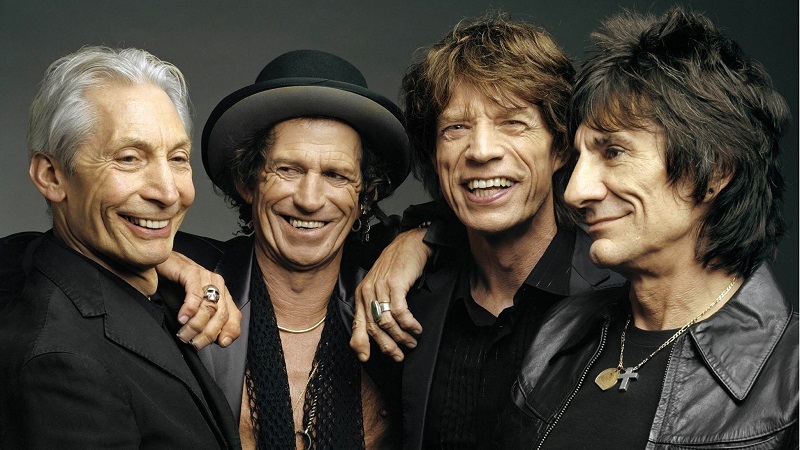 Nearly fifty years later, both the little red radio and the remaining Rolling Stones still look pretty good to me. They don’t sound so bad either. How many of us while away a sad and lonely hour on ebay? It fills the time you might have spent reading your horoscope or tidying out the knife and fork drawer. It can follow on from a spot of cyber snooping on Facebook .. well what does she see in him? or if nothing is trending on twitter or witter as a friend likes to call it, when she’s not being even more rude. Well I’m as guilty as the next man. I sadly cyber stalk radios and guess what I found in my Google Hour this week. Look at that winning bid. It just goes to show, we know a good radio when we see one. 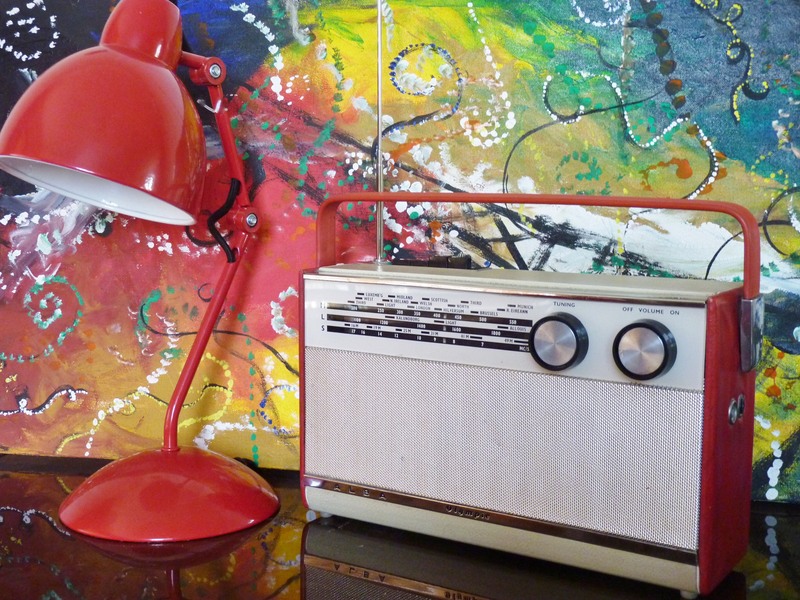 This radio is obviously highly sought-after not only because it’s a lovely looking vintage radio, but also because it was designed by THE Robin Day. We all know that feeling so near and yet so far. Just when you think its yours, its snatched away and you’re left feeling sad and dejected. If you’re the poor person who narrowly missed out on the one on ebay, don’t go off for counselling, just come to us and make us an offer we can’t refuse. Last year Roberts Radios celebrated their 80th Birthday. This British company has been producing radios since 1932 when Harry Roberts and Leslie Bismead set up their business raising the money for a deposit on a small workshop by selling Leslie’s motorbike. It was a good move. In addition to their successful business association, Harry and Leslie became brothers in law. 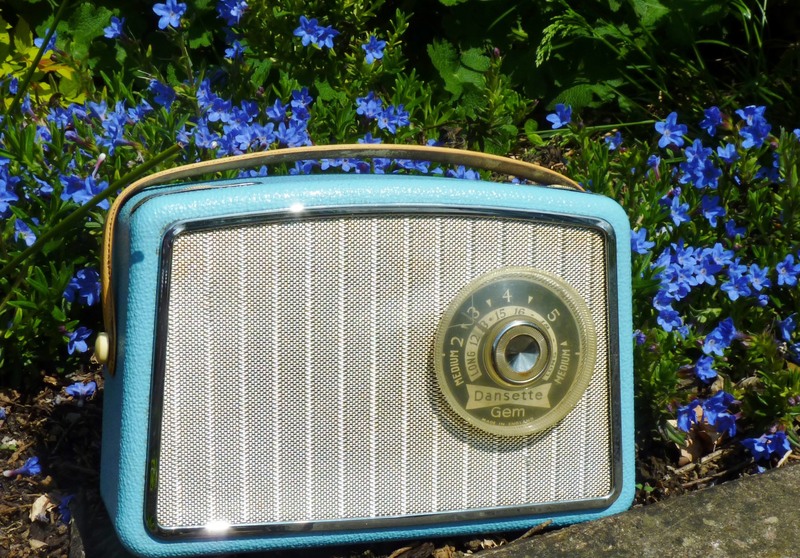 They married sisters Doris and Elsie Haywood and It’s said that the inspiration for the design of the iconic radio was drawn from Elsie’s 1950’s handbag. Initially they sold only three radios a week but they set themselves high standards to make “a top-quality product and sell it to top-quality customers’’. Aiming high they carted a sample off to Harrods and came back with an order to make six more. A measure of their success was Queen Elizabeth the Queen Mother owning a Roberts Radio for her personal use and buying one for her daughter, the then Princess Elizabeth. Roberts was awarded a Royal Warrant in 1955. Roberts radios in a myriad of colours are an iconic sight today. Back in 1961 one-off radios were made for a shop display including one in solid gold radio and one in mink. They were displayed in Whiteleys Department Store shop window in West London. Sadly they were both stolen and never seen again. Imagine how much the gold one would be worth today. In the early 1980s the Roberts Radio declined in popularity as people were drawn to more hi-tech and sleek looking gadgets. All this changed in 1989 when a chance appearance of a red Roberts Radio in the background of a Martini advert sparked a nostalgic renewal of interest. A limited number of radios were made to meet this demand and Roberts Radios hasn’t looked back since. The red leather radio was put into full production and in the early 1990s the range was expanded and models created in partnership with a range of designers including, Mulberry, Paul Smith and Cath Kidston. We have modified this wonderful looking Limited Edition pre-Dab Roberts Radio for a customer so that they can listen to the radio or their MP3 player. Not your normal Dansette. A Dansette Gem. Most people would think of the Dansette Record Player which sold over a million and made Dansette a household in Britain in the 1950s and 60s. Dansette products were designed by Samuel Margolin and manufactured by J & A Margolin Ltd, originally based in old Street in London. They were the ‘must have’ record player for the new teenager generation. It came in it’s own carry case and could be hauled around to wherever the party was at. By 1969 they were no longer produced and the company went into liquidation as cheap Hi Fi imports began to flood in from the Far East. 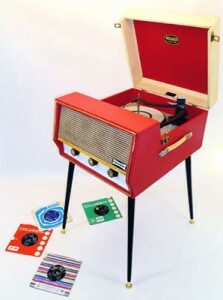 Although an iconic look, the Dansette record player is sadly not a high quality sound. The Dansette Gem transistor radio was made in 1963. We won’t know how good the sound is until it’s restored but the colour and shape are impressive.